There’s nothing quite like breaking into a fresh jar of yellow plum-infused liqueur or pear gin at the start of winter. It’s like a bottled bit of summer sunshine. And ever since we’ve figured out precisely what to do with all of the fruit and vegetables I’ve been growing, my nursery trips have been most enthusiastic when they involve growing food (yep, I’m one of those people that looks up from breakfast and wonders what’s for lunch!). Unfortunately, since I’m gardening on a suburban lot, space has quickly become an issue. So when I read that this fruit tree book was coming out that focused exclusively on gardening in small spaces, I was sold. Finally, a trustworthy source to tell me whether that newfangled “planting-four-trees-in-one-hole idea” is actually effective (he says yes, and gives a link to more resources!). 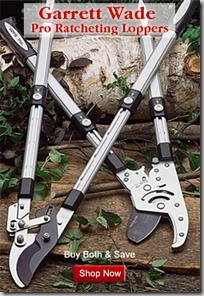 I was also keen to learn pruning and care techniques for helping trees take up less space in the garden. In the first half hour with the book, I’d learned an excellent trick for keeping plants small: Summer pruning. Apparently by removing some of the leaves before they’ve had a chance to collect the full season’s worth of sunshine, you dwarf the plant’s growth. By following up your summer pruning with winter pruning cuts made close to the branch rather than close to the tips, you send the tree a signal that it has filled its allotted space, and it slows down a bit. This tidbit was worth the price of the book all by itself! The book has a cheerful and laid-back spirit. Eierman talks about having beers and sitting around the fire in his backyard, and the photos of the gardens and his friends enjoying the bounty of fruit were so normal and do-able that I felt quite relaxed about my ability to grow great fruit. It’s not a design book, though he includes some design tips; it’s more about that connection you feel when you’re able to grow things successfully and have a fun space to interact with and enjoy. You can see he has that and wants to share that joy with all of us. The book includes a brief listing of some of the varieties available in each category of fruit, and shares some generalized tips about what types of climates each variety prefers and what kinds of diseases you might encounter. There is even an extremely useful chart about which types of rootstock have which characteristics. That’s certainly been bookmarked! The only thing I found frustrating was that he didn’t give much specific advice about how to choose varieties for our individual climates, which is a pretty big omission. While I agree with his advice that we ought to check with a local extension agent or old-timers in the area to learn what grows well, I feel strongly that each entry for a variety should have included the chilling hours needed as well as a few examples of pollinizers so this book could have stood by itself as a reference. Even so, Eierman has enough practical, on-the-ground experience growing fruit that if you read even portions of the book, you’ll find yourself with a pretty thorough understanding of how to grow fruit trees successfully, and his energetic good nature will have you circling pages and excited to get up and try some of the techniques and varieties he shares. Want to win a copy of Fruit Trees in Small Spaces ? Timber Press has been kind enough to offer a copy to one lucky reader in the US. To win, just leave a comment below, and I’ll pick a winner randomly on Monday April 16th. Good luck! Congrats to Amanda, our winner! My garden is a 20×20 plot in an allotment site in Brooklyn – I would love to have a few fruit trees, but need advice on how to espalier and cordon them, and any other techniques to help me squeeze stuff in. This book sounds great! This is such an important subject- as much as we would all love to have lots of land to play with, the reality is that that isn’t possible for many people at this time. Thank you for such a good, even-handed review of the book, it’s going on my wishlist now! Oh, while we have a 40×120 lot in CLE, we’ve been promised a fruit tree for espaliering [is that a verb? ]; this book would be perfect! It’ll make a permanent presence in the house, whether I win it or not! Thanks! What a generous giveaway! The book sounds lovely–thank you for the contest! Sounds like a great reference! I’d love to get some fruit trees going in our backyard. There’s such a huge amount of varieties for apples, pears, etc. that I think it would be very difficult to offer localized variety advice in a book that’s meant for a general audience. I think it would be better added to regional books like “Golden Gate Gardening” or “Pat Welsh’s Southern California Gardening”. I definitely need to know how to pack more into my yard; I do hope I win a copy of this book! Thanks, Gen.
Looks like a great book! Thanks for the chance to win it! Like many others, I’ve been doing the grow everything in a container garden, having excellent results. Can’t wait to get land again to do both types of gardening! Sounds like a great reference, would love to win. This book sounds exactly like what I need! We’re planning on putting in fruit trees and we just haven’t gotten there quite yet. Sounds like I should read this first! I’m waiting for some trees that I purchased on-line to be shipped for my area! I can’t wait. I have containers all ready and have been researching as to what else can be planted with them! This sounds like a great reference book! I’d love to containerize more citrus… easier to keep that soil acidic! Looking forward to planting my first fruit tree. The stone fountain table isn’t quite going to fit my yard (or life), but I would like to grow a fruit tree so this book would be helpful info and it would fit on my bookshelf too. 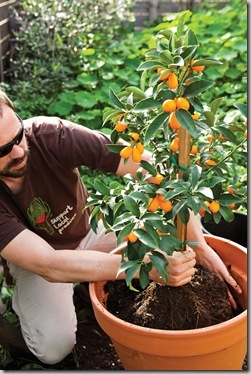 I would love to grow fruit trees in containers – how exciting. Sign me up. I’ve got a number of ‘improperly’ planted fruit trees. I try to comfort myself that people have been abusing fruit trees for a long time, justifying it by giving it a fancy French name. 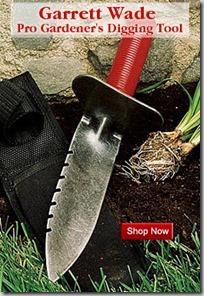 Sounds like a great reference for a new homeowner and gardener. Sounds like a great book! I’m always trying to fit in “one more tree.” Thanks for the opportunity. I was recently displaced from my past rental which had a nice yard. (new owner destroying it) – Now i only have a tiny space out my back door, but still plan to get creative & plant some things in pots. I would greatly appreciate & enjoy a fruit tree! Thank you so much for this chance to win, and for your generosity! I live in a condo and have a deck and about 170 SQ FT of growing space. I’d just decided to plant fruit trees and blueberries and would LOVE to win this book. Thanks for the chance! oh gosh, fruit trees are next on our list. thank you for the chance to win the book! I’m with Katie! Even the hope of apartment fruit trees is huge. Our community garden has less than an acre. It would be great to show them how they can include fruit trees in even a small plot! Having a small urban garden this book sounds perfect to help us utilize our yard even more! I am an Ecological Landscape Designer (Permaculture), a renter, and one that has their fruit trees, bushes, and other perennials in containers in a 30″ strip between their house and driveway. I am growing a plum, cherry, white peaches, Bartlett Pear, Hardy Kiwis, Pawpaws, Elderberries, Blueberries, Beach plums, raspberries, strawberries, white table grapes, Currants, and pretty much anything else I can get my hands on. I tend to hit end of season sales. I also have a 29′ x 17′ plot two houses over where I grow my annuals. I’ve always wanted to grow Meyer Lemons. Kumquats too!! This book sounds great! I’m working on plans for a small urban garden and really want to incorporate fruit trees into the design, so perfect timing. This book would be wonderful. I’m struggling with trying to maximize my suburban yard output of fruits and veggies, and know nothing about fruit trees. Thank you for this opportunity. I’d love to win this book! Have always wanted to add some fruit trees to my yard! I do most of my gardening on my back porch in pots! pick me pick me! This sounds great! While I’m currently living on an island, when I move back to the states this would be a great thing to do with our house on the river. Wow, this looks like a great book! We planted 5 fruit trees (2 pear, 1 peach, plum, cherry) last Summer. Can’t wait to see what we get for fruit. Would love to win this book as resource for caring for our trees. Thanks! oh great site and looks like a cool book. I have a small urban lot filled with fruit trees and bushes, veggies, herbs, flowers and chickens. I would love ideas about making it better and if I am doing the right things. thanks! I’d love to have fruit trees! Thanks for the opportunity, we have a serious deer problem (our hoa is in the middle of farm lands) so we have limited space where we can grow fruit trees that the deer stay away from. 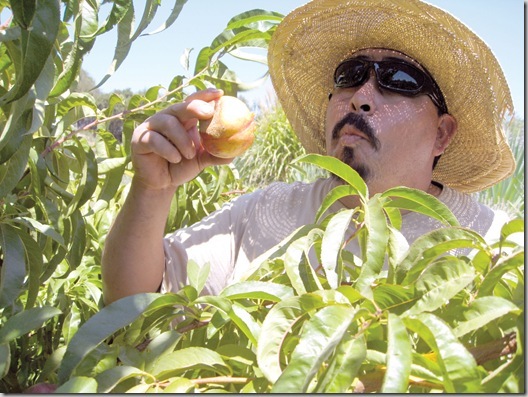 I would love to begin growing fruit trees! This would be a fantastic way to learn!!! Pear liqueur? Sounds devine! Would love to win this book. Oh, pick me. I am about to put in a mini-orchard in our city lot but I’m afraid the trees are doomed. Cool sunglasses, that’s the garden tool I’m missing! Can’t wait to read this book. Let me confess I am totally intimidated by fruit trees. I’m always looking for a guru who tells me I can. This book sounds like the perfect book for a suburban dweller like me! I’ve been wanting to grow some fruit trees for years but could never figure out how in the space we have. I would love to read this book! Would love to win this book, Im hoping to receive an apple tree for Mothers Day this year! This book would help me decide where to plant it! This is a great topic. I am wanting to grow more trees but have a small yard. Thanks for the chance to win the book. I am moving and hope to set up a garden area. Fruit trees would be a great addition to my garden and landscape! This book could provide the info I need to add more edible plants to my very small yard! We are currently studying up on dwarf types of fruit trees to plant. This book sounds perfect! This sounds like a delightful book and I would love to learn how to grow fruit trees in small spaces. Thank you! I inherited this yard with ZERO trees, and am gradually changing that….have planted a few and am really interested in planting some that will earn their keep!! I dream of having a backyard orchard! I would love to have this book. Looking forward to the book. Especially what it has to say about growing trees in pots and planters. I wonder if there are also any pointers about dealing with shade?